The Marist vision is inspired by the image of Mary in the midst of the Apostles in the new-born Church of Pentecost. By the time of the French revolution, the Church had become wealthy and powerful; the visible face of the Church had become aloof to the ordinary lives of people. This was a Church inspired more by a narrow view of the Petrine symbol, emphasizing power and authority. For this reason, the early Marists looked to Mary as a counter-symbol which privileges love and service over the trappings of power. 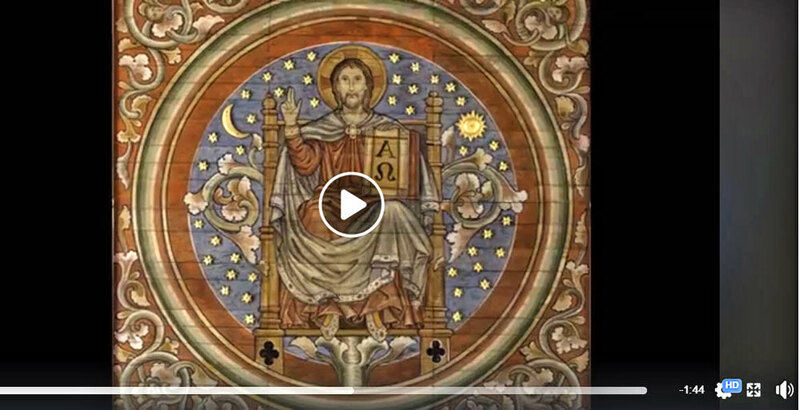 In this Marian Church, obedience to rules and regulations is less important than the communication of God’s gracious forgiveness and tender-loving mercy. They worked, prayed and longed for the emergence of such a Church. Marists today continue this work of evangelisation by striving to live the Gospel in the way of Mary – and even to “think as Mary, feel as Mary, judge and act as Mary in all things”. And they would be present in the Church as a Marist Family. 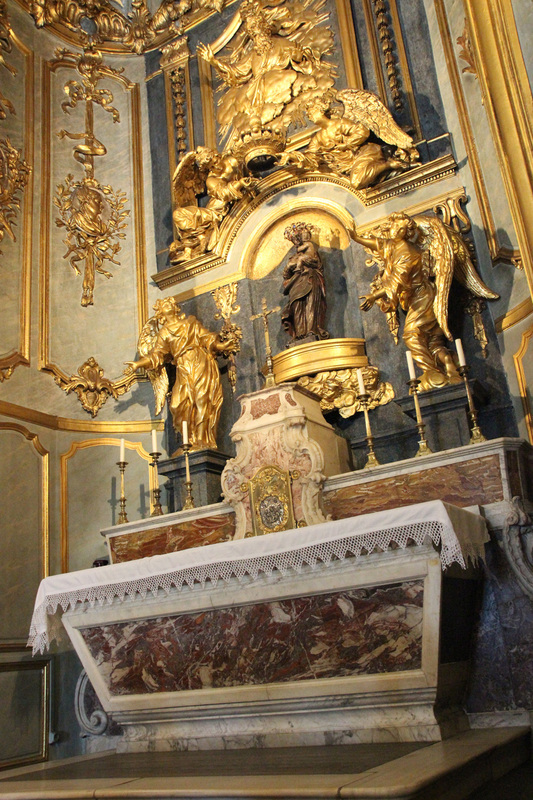 On 23rd July 1816, twelve young seminarians, including six newly ordained priests, made a pilgrimage to the famous shrine of Our Lady at the Fourvière in Lyons, France. They called themselves “Marist Aspirants” and dedicated themselves to founding the “Society of Mary-ists” open to priests, sisters, brothers and laity. 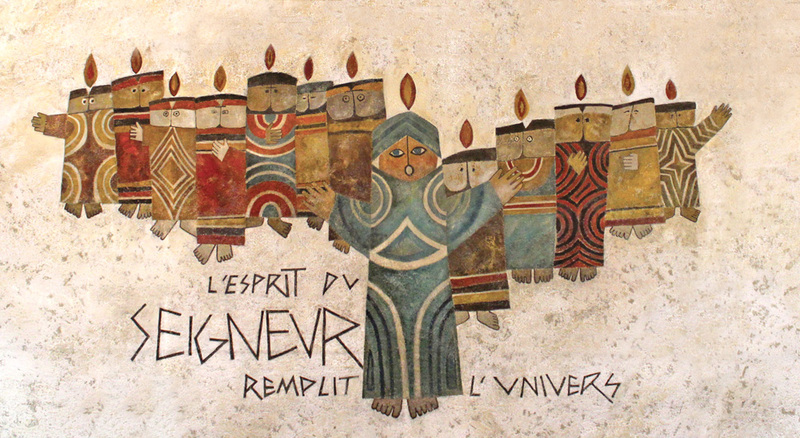 The Fourvière Pledge is recognised as the foundation event for what became multiple branches of the Marist Tree. The journey in discerning God's call to the Society of Mary is an important one. After a period of enquiry a person formally enters 'accompaniment'. This time can last up to twelve months or longer. The interested person meets regularly with a Marist and shares with that person their faith journey. The accompaniment period is a supportive and positive experience. Meanwhile, the person while discerning his interest and willingness to become a Marist, has the opportunity to visit some of the Marist communities and to learn more about the Society of Mary. One such community is the Australian Province’s House of Welcome in Paddington, Brisbane. Any serious candidate seeking to discern a vocation with the Society of Mary may ask to be a member of this community for a period of time. To be a considered for acceptance into the Marist formation program a candidate must usually be under 35 years of age. The first period of the initial formation program takes one or two years; after that the candidate applies to enter novitiate. This is a period of time given over to deep and personal reflection and spirituality. It usually takes twelve months and the candidate joins with Marists from all over the world. 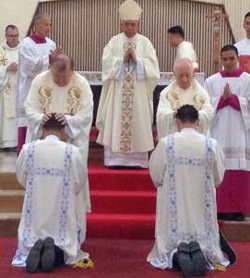 The international English-speaking novitiate is currently located in Davao, Philippines. 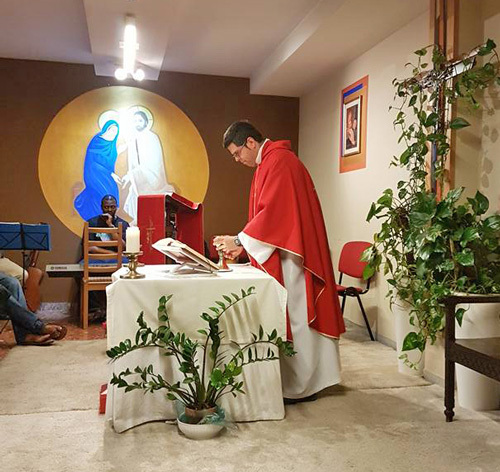 Candidates who wish to pursue a course leading to priestly ordination continue their formation program in 'Casa Di Maria', the Marist International Theologate in Rome, Italy. 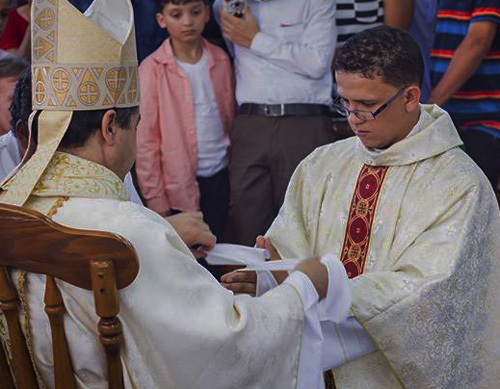 Candidates for the priesthood are called to ordination on the completion of their seminary studies and usually at the end of a year of pastoral experience in a pastoral or mission setting.. While every Marist community is no doubt “welcoming”, the specific purpose of our community is to be a place where people of all ages including the more youthful are able to gather for occasional liturgies, shared reflections on religious themes (such as the writings of Pope Francis) and social gatherings. We also actively seek to invite locals and visitors to join us. If there is a particular thrust which distinguishes our community, it is to specifically promote awareness of our Marist spirituality as a gift for the Church’s evangelising mission. We consider the cultural diversity and age-range of our members to be an integral component of our Marist life and witness. While we hope to continue to attract young people to discern a possible Marist religious/priestly vocation, we are equally concerned to communicate the Marist way for lay people of all ages. Marist House of Welcome, Paddington, Brisbane. 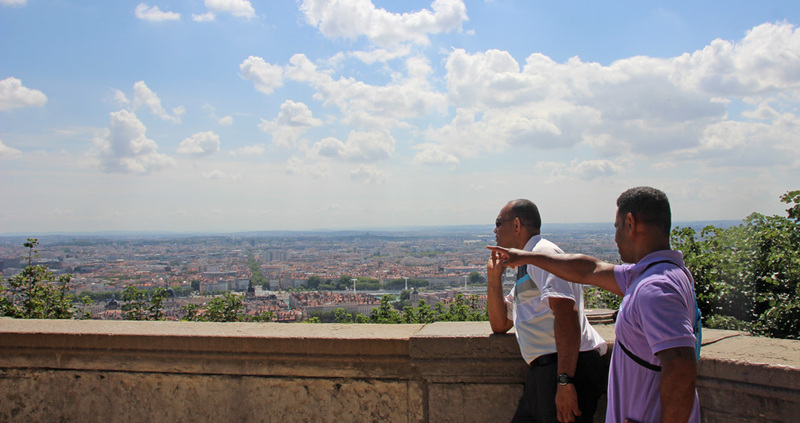 Within six months of the Fourvière Pledge, one of their number, St Marcellin Champagnat, gathered young men in his parish of La Valla, France, to be foundation members of the Marist Brothers’ community. The Brothers, who became known as the “Little Brothers of Mary” commemorate this date, 2nd January 1817, as the beginning of their congregation. 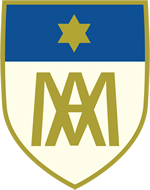 As the largest of the Marist groups, their work in education and missionary outreach in over ninety countries follows Marcellin’s vision of being “ready to work in every diocese in the world”. Another signatory of the Fourvière Pledge, Jean-Claude Colin, played a pivotal role in developing the broader Marist project. His appointment to Cerdon, where his brother Pierre was parish priest, proved providential. They soon invited two young women, Jeanne-Marie Chavoin and Marie Jotillon, to be part of the Marist project. They arrived at Cerdon on 18th November 1817, which the Marist Sisters now commemorate as their Foundation Day. Many lay-people also attached themselves to the newly emerging Marist project, specifically identifying themselves as “Marists”. These were beginning steps towards Jean-Claude Colin’s vision of “the whole world Marist”! Over the next twenty years, the group of what was to become the priests’ branch of the Marist project worked mainly as missionaries to rural parishes (Bugey Mountains, 1824) and in secondary education (Belley Minor Seminary, 1829). Ongoing attempts to seek authorisation for a single Society of Mary – including priests, sisters, brothers and laity – proved fruitless. Rome would not agree with such a “monstrous plan”, but finally authorised Marist Fathers to found the Church in the South-West Pacific. Consequently, on 24th September 1936, 20 Marists – until then still technically diocesan priests -- took their first vows. The group included Jean-Claude Colin, elected as Superior General, as well as the two who were to become the Society’s first saints, Marcellin Champagnat and Peter Chanel. Within six years of the Profession of these first 20 Marists in 1836, the whole Marist enterprise already numbered 60 priests, 400 brothers, 100 sisters, and many lay people, spread throughout a dozen dioceses. By then, over 40 had set out for the missions of Oceania, including its first martyr, Peter Chanel. In such a short time, and from such a small part of France, nearly 600 people had joined an enterprise, convinced that living the Gospel in the way of Mary was God’s calling for them to be truly missionary. They called this “Mary’s work”. 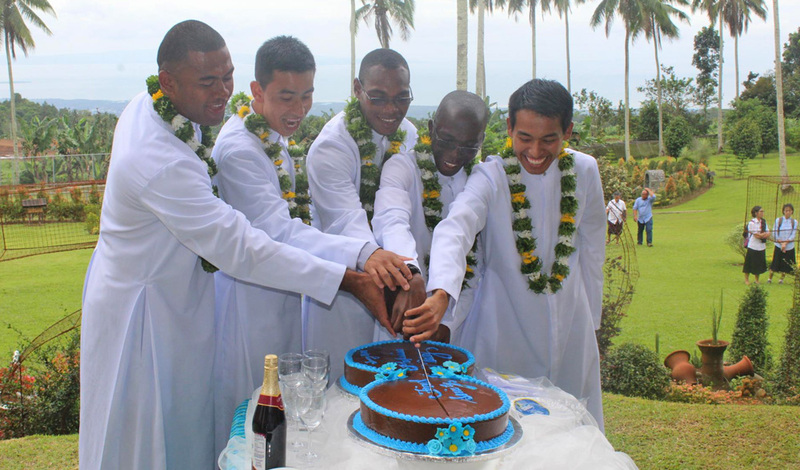 By 1850, 74 priests, 26 of Marcellin’s “Little Brothers of Mary”, 17 lay-brothers and many identified as lay-Marists set out for the Pacific. In 1845, Francoise Perroton was the first of many women who travelled to the Pacific as Marist lay-missionaries. These women are called “Marist Pioneers” becoming in time Marist Missionary Sisters, ministering today in 24 countries. Together, the various Marist branches of the one Marist tree, including the various groups of Marist laity, live and work together where possible inspired by the vision of enabling a new Church to be born in the image of Mary ‘midst the Apostles at Pentecost. In Australia, Lay Marists are represented by “Marist Laity Australia” and the newly formed “Marist Association of St Marcellin Champagnat”. Together, Marists of all branches seek to live the Gospel in the way of Mary, to be what Pope Francis calls all Christians to be, namely, “missionary disciples of divine mercy”, and to work for justice, peace and reconciliation in the spirit of Mary’s Magnificat.